The Victorians, and particularly their fine art, suffered reputationally in the twentieth century, and have long been subject to a cycle of rejection and revival. 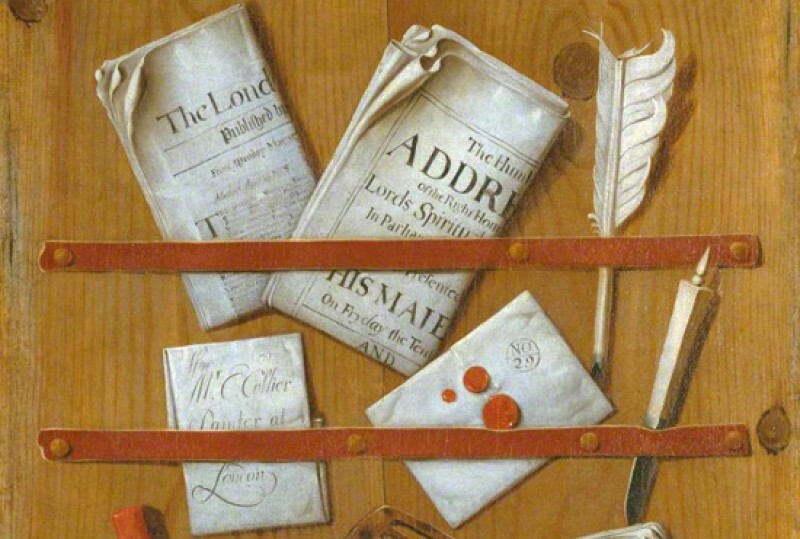 Can their paintings tell us anything about real life? Is the Victorian world still relevant to today’s – or even relatable? City merchant Charles Gassiot began buying pictures around 1869. His taste reflects the commercial successes of the day, including paintings of children in a number of settings and guises. Many of the pictures featured in Guildhall Art Gallery’s latest exhibition 'Seen and Heard: Victorian Children in the Frame' came from his bequest to the City of London Corporation in 1902. Almost every metropolitan collection with nineteenth-century works includes the artists collected by Gassiot, particularly those of the so-called ‘Cranbrook Colony’, William Collins and Thomas Webster. Their images of ruddy-cheeked children playing in rural settings or misbehaving in ramshackle classrooms were perennial Victorian favourites. Genre pieces were extremely popular with collectors and the general public (the 1840s being something of a peak), and it is worth considering why this was the case. 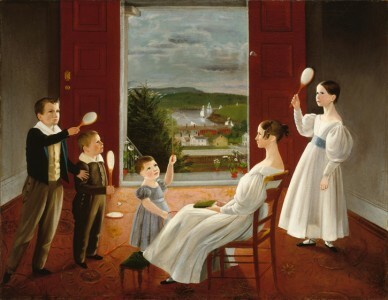 Before the nineteenth century, paintings depicting children were limited to formal family portraits, only affordable for the wealthy. Such pictures treated children as miniature adults and were designed to show them off as extensions of their parents, in whom the future prosperity of the family (and the nation) was invested. By the time the young Queen Victoria came to the throne in 1837, the children of the upper and middle classes were being depicted more individualistically – at play with toys or pets, dressed in clothing which no longer mimicked what adults wore. The Victorians did not invent childhood, but they certainly shaped and formalised it, perhaps even fetishised it, in a way we still recognise today. Our insistence on the protection of children, and on childhood as a time for learning and growth rather than labour, began here. Childhood came to be seen as a special time of life, with the acknowledgement that young people should not be overburdened with adult problems and responsibilities. As a result, there was an increased demand for art which reflected parental affection and comfort. There is, of course, inherent escapism in nostalgic scenes of children at play within rural or domestic idylls. It is easy to see why such images were reassuring to the monied classes at a time of anxiety and upheaval – the Corn Law riots in the early century, the fight for workers’ enfranchisement, and increasing awareness of the pitfalls of industrialisation all had their effects. Social and political subjects eventually became more widespread in painting, but most privileged art collectors sought relief from the rapidity and complexity of urban life in images of innocence and carefree charm. However, many artists sought to represent the harsher realities for children, particularly those living in poverty. Although commercially successful, such scenes were also criticised for depicting children as ‘too graceful and idyllic’. Attempts to paint working class or deprived children – outside the sphere of the urban male art critic – were often criticised as either overly romanticised, (and thus ‘untrue to life’), or if realistic, written off as aesthetically unpleasant and undesirable. Many contemporary viewers were all too aware of the ethical problems of creating images of the poor for consumption in the drawing rooms of Britain. It is arguable whether such paintings shook the viewer from complacency or caused vulnerable children to be passively gazed upon rather than practically helped. Although, in a society which often conceived of poverty as a result of laziness or vice rather than structural inequality, art that depicted destitute children sympathetically at least gave them presence. At its best, the genre had a humanising effect. Sympathy and emotional connection are pervasive themes within Victorian culture. Legislative changes were possible in this period in part because of engagement with the lived experiences of others. Working children’s testimonies were heard in Parliament, documented in newspapers, fictionalised in novels, and visualised in art. William Powell Frith’s Crossing Sweeper draws attention to inequality in the city. A young boy solicits for work sweeping the road to spare the well-heeled lady from the dirt and muck – the constant peril of horse-drawn carriages. The artist skilfully draws our attention to his bare feet by misdirecting our eye to the hem of the lady’s skirt, pulled up (in potentially risqué fashion) over her clean boots. In noticing her condition, we must notice his. Conventional wisdom held that such ‘street children’ were a nuisance, but there was an increasing concern for their plight. Philanthropists and charity workers attempted to improve conditions, but it was the introduction of compulsory education that eventually lifted most children out of the labour market. It is worth mentioning, however, that the exploitation of child labour cut across class boundaries. Connie Gilchrist, the girl featured in Frederic Leighton’s The Music Lesson, was as much a working child as Frith’s Crossing Sweeper, albeit in a very different milieu. Her labours as a child model and stage performer were wrung from her by a pressurising mother – perhaps comprehensible given the family’s early poverty. By the age of six she was earning money for the family by posing in artists’ studios – Whistler, Holl and Leighton amongst them. Such was the commodification of young girls, Lewis Carroll wrote that by age thirteen, Connie had ‘lost her looks’. There were no laws to regulate her hours, and no formal protections to limit her exposure to the adult world. Her image lives on in fine art, but her lived experience is not pictured.